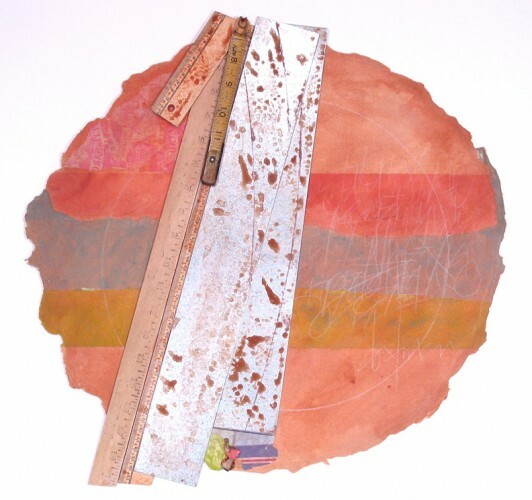 The Italian Kimono: Selected Works 2003–2013 is an exhibition of seventeen mixed media works by Bruce Dorfman, who this year marks his fiftieth year teaching at the Art Students League. 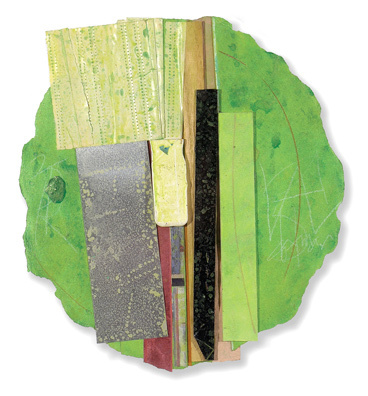 The show opens on October 5, 2013 at the Elizabeth V. Sullivan Gallery, part of the Art Students League’s Vytlacil campus, and continues through November 30, 2013. 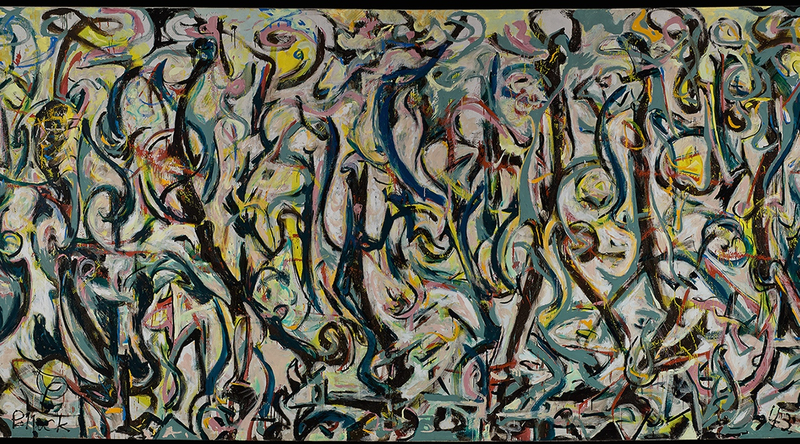 Dorfman will deliver a talk in the gallery on November 20, at 6 p.m.
Below is a gallery of the seventeen pieces in the exhibition. Bruce Dorfman, The Italian Kimono, 2003–13. 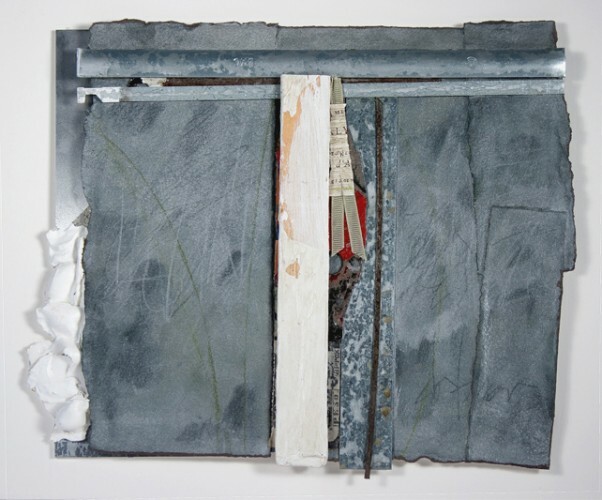 Canvas, paper, metal, wood, acrylic, and gouache, 72½ x 74 x 4 in. Bruce Dorfman, Molly Bloom, 2012. Canvas, metal, paper, acrylic, 66 x 47 x 6 in. 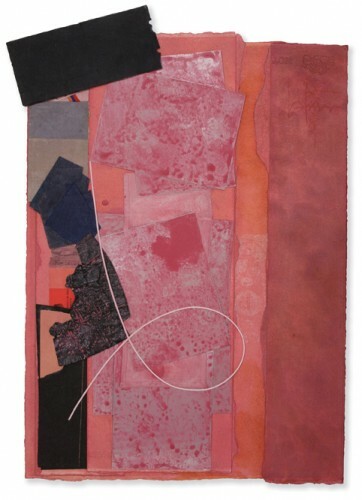 Bruce Dorfman, Vivaldi’s Point, 2002–13. 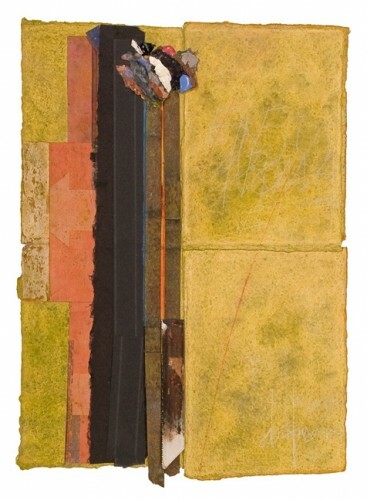 Paper, metal, wood, acrylic, and gouache, 9½ x 12 in. Bruce Dorfman, Time Now, 2005. 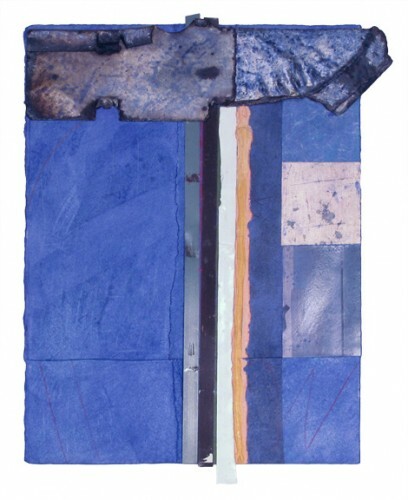 Paper, metal, wood, acrylic, and gouache, 23½ x 16 in. 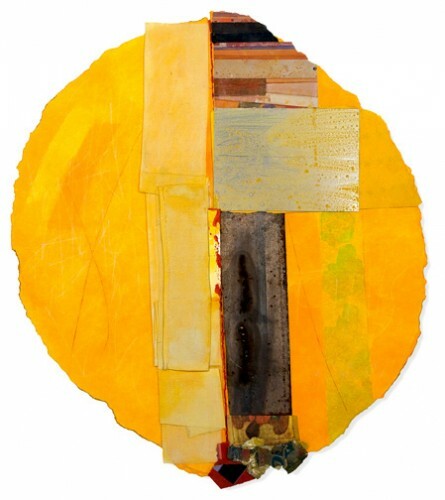 Bruce Dorfman, Story of Yellow, 2011. Paper, metal, acrylic, and gouache, 23 x 20 in. 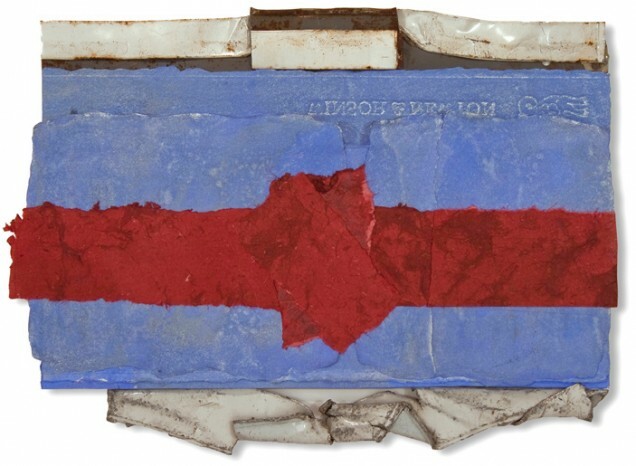 Bruce Dorfman, Blue Name, 2005. 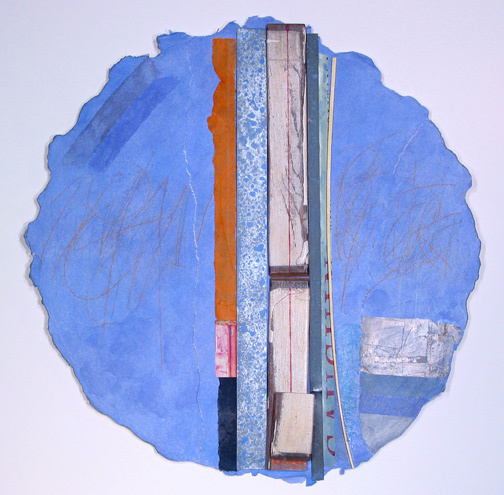 Paper, metal, acrylic, and gouache, 15½ x 12 in. Bruce Dorfman, Slinger, 2009. Paper, fabric, metal, acrylic, and gouache, 22 x 17 in. 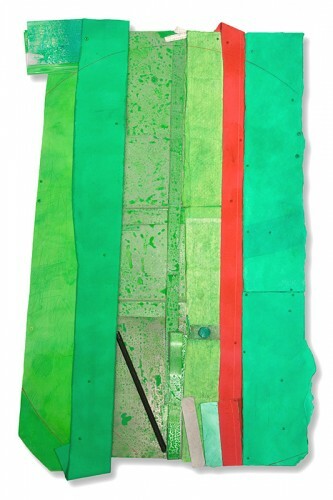 Bruce Dorfman, Green Pin, 2007. 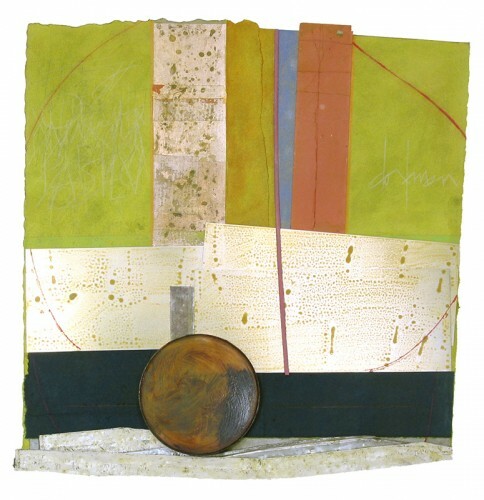 Paper, metal, wood, acrylic, and gouache, 12 x 12 in. 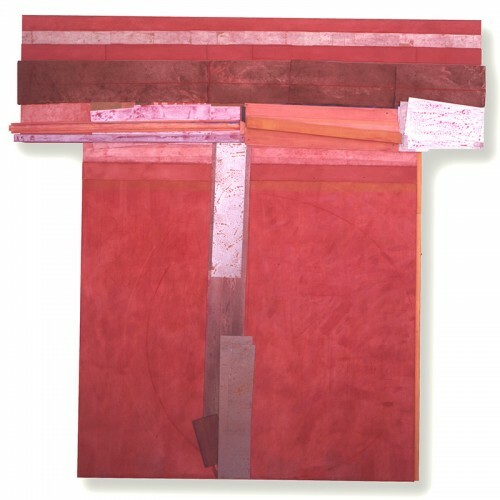 Bruce Dorfman, Terra Cotta White, 2007. 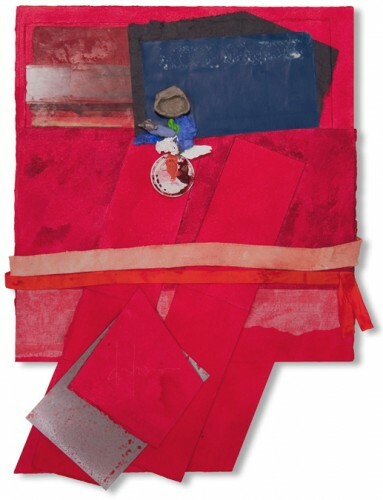 Paper, fabric, metal, acrylic, and gouache, 24 x 17½ in. Bruce Dorfman, Over and Threw, 2010. 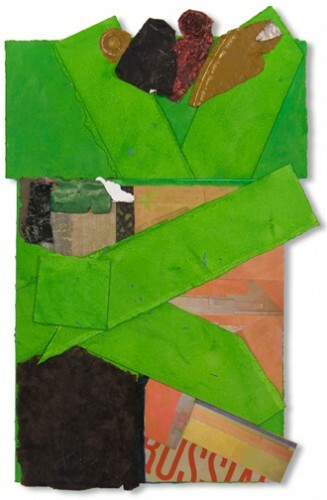 Paper, fabric, metal, wood, acrylic, and gouache, 18 x 22½ in. Bruce Dorfman, Once and Now, 2009. Paper, metal, acrylic, and gouache, 20 x 13 in. Bruce Dorfman, Obi, 2009. Paper, metal, acrylic, and gouache, 11 x 15 in. Bruce Dorfman, Song One, 2004. Paper, metal, acrylic, and gouache, 18 x 17 in. Bruce Dorfman, Blue Gust, 2004. Paper, metal, wood, acrylic, and gouache, 20 in. round. Bruce Dorfman, Gust, 2004. Paper, metal, wood, acrylic, and gouache, 20 in. round. 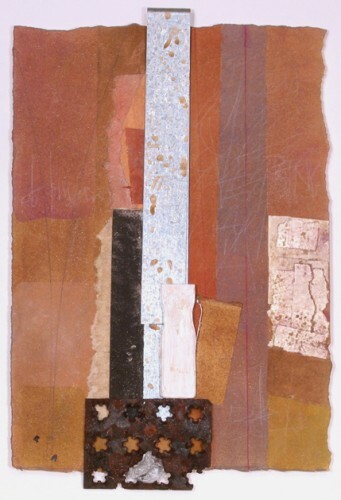 Bruce Dorfman, Gathered Gift, 2005.Paper, metal, wood, acrylic, and gouache, 15 x 10 in. Bruce Dorfman, Frejus, 2003. 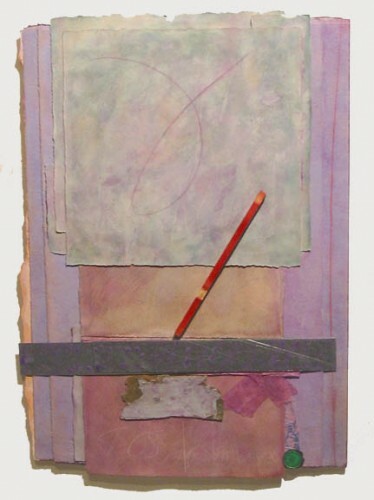 Paper, metal, acrylic, and gouache, 14½ x 10½ in. Bruce Dorfman, Molly Bloom, 2012. Canvas, metal, paper, acrylic, 66 x 47 x 6 in. 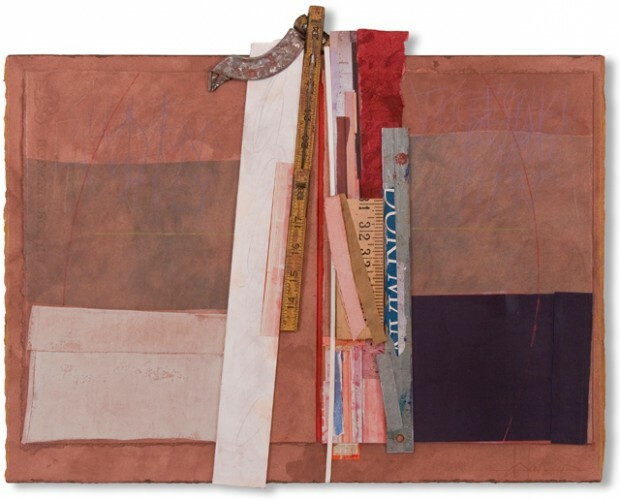 Bruce Dorfman, Gathered Gift, 2005. Paper, metal, wood, acrylic, and gouache, 15 x 10 in.